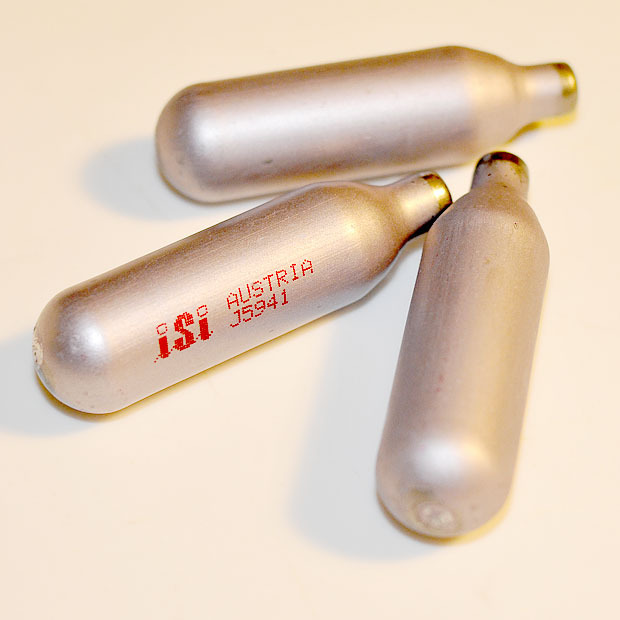 Cream chargers containing 8 g of nitrous oxide each (N2O) to be used with an iSi whipper for whipping cream, making foams/espumas or pressurized infusions. A little more than a week ago Dave Arnold posted a great, new technique: pressure infusion using a conventional iSi whipper! Just think of it – the whipper has been around for decades, and years a go Ferran Adrií pioneered it’s use for espumas. Several have suggested it’s use for carbonation of fruit. But no one had thought of utilizing the whipper for infusions – until August 11th when Dave Arnold of Cooking issues posted the results of his experiments in “Infusion Profusion: Game-Changing Fast “˜N Cheap Technique”. The first blogger to pick up the technique and post about it on August 12th was Linda of playing with fire and water who termed it a revolutionary technique. A couple of days later, on August 17th Aki and Alex of Ideas in food posted a combined pressurized infusion of basil and marination of mozzarella. And then on August 20th James of Jim Seven describes his results comparing conventional cold brewed coffee to cold pressure brewed coffee. It’s really fascinating how fast the idea spread, and it illustrates the benefits of an open and sharing approach to food innovations. For the food blogging event They Go Really Well Together (TGRWT #1) I decided to used baked garlic. Baking gives garlic a slightly sweet, mellow taste and I figured this might work well with the soft texture of an espuma. Just make sure you get fresh garlic without green sprouts – they will give a bitter taste. Mix garlic cloves and coffee with blender or hand-held mixer. Add chocolate, a pinch of cardamom and heat while dissolving sugar. Stir in pre-soaked gelatin. Cool, add heavy cream, sift through fine mesh to remove remaining pieces of garlic and fill 0.5 L iSi gourmet whipper. Charge with 1 cream charger and leave in fridge over night. Serve with a drizzle of instant coffee. How it tastes? 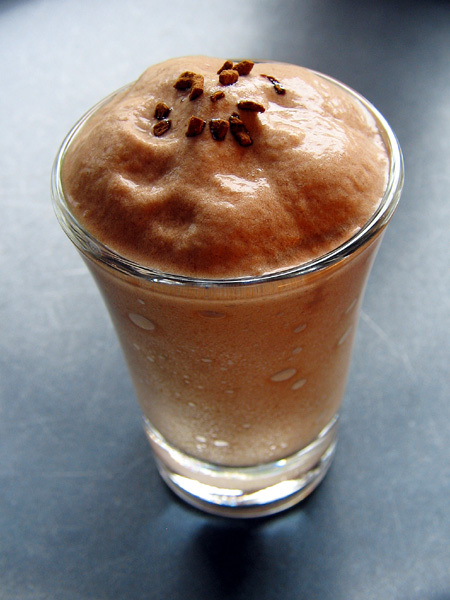 In the finished espuma served cold, the first aroma noticed is coffee accompanied by a sweet taste on the tongue. This is followed by a faint chocolate aroma which then gives way for an aftertaste dominated by garlic. It’s quite surprising and the aromas blend well together. I used 30 g of chocolate, but I’ve increased it to 40 g in the recipe since the cocolate aroma was a little weak. As for uses, I think it would go well with a steak for instance. If used as a dessert I would perhaps reduce the amount of garlic to 2 or 3 cloves so as not to overwhelm the guests (unless they frequent the restaurant Garlic & shots in Soho, London where even the beer is served with garlic!). Wrap melon pieces with proscuitto, season with salt and drizzle with olive oil. Scatter balsamic “snow” over the top just before serving. Toss crab with shallot, fennel, mayonnaise and orange juice/zest. Season with salt and leave in refridgerator for 1 hour. 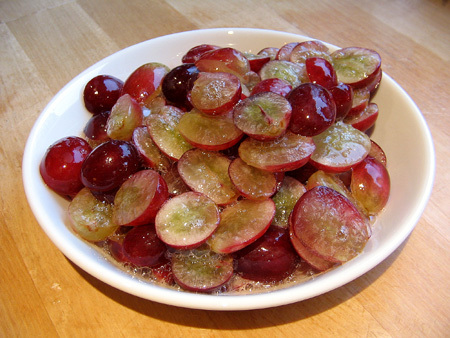 Add carbonated grapes, toss with crab mixture and chives. Serve immediately. Combine ice, orange juice and mint. Add carbonated fruit and serve immediately. Add vanilla bean scrapings to cream and whip until stiff peaks are formed. Layer carbonated fruit with whipped cream and serve immediately. Rinse and dry celery. Fill celery with peanut butter. Stud the celery with the carbonated grapes. Serve immediately. Soak gelatine in cold water. Strain. Dissolve gelatin sheets in the hot coffee and stir in sugar while heating. Cool. Add heavy cream. Filter through a fine meshed sift (just in case there should be any undissolved sugar, gelatin or particles) into a 0.5 L iSi gourmet whipper. Screw on top and charge with a cream charger. Shake 2-3 times and leave in fridge for a couple of hours. 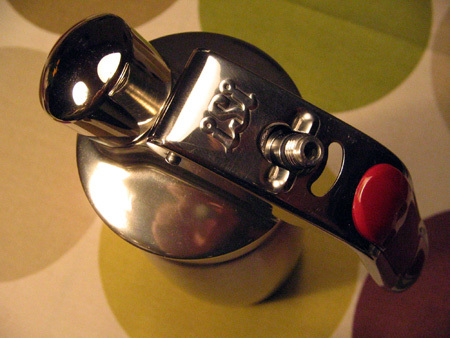 Hold whipper upside down, shake once to displace mixture towards the nozzle in case it is stuck and dispense. Texture is soft and silky. Tastes delicious! Some more chemistry: The cream chargers contain dinitrogen oxide (N2O) which is less polar than carbon dioxide (CO2), and hence more soluble in fat (such as heavy cream for instance). Another reason why carbon dioxide is not used in this recipe is probably that when it dissolves, some carbonic acid is formed which could curdle milk based products if pH drops to much and also influence taste (but carbonated milk has actually been marketed!). The idea of using dinitrogen oxide for soda/beer has also been explored. I blogged about carbonated strawberries some while ago. Those were made using dry ice which unfortunately is not always easy to get hold of. Last week however I bought a iSi Gourmet Whipper – one of those Ferran Adria uses to make foams/espumas. I plan to experiment with that as well, but the first thing I decided to prepare was carbonated fruit. In fact this is a safe way (the only?) to make carbonated fruit at home using a pressurized container. The instruction booklet which comes with the iSi Gourmet Whipper only mentions cream chargers (filled with N2O, dinitrogen oxide), whereas soda chargers (filled with CO2, carbon dioxide) are not mentioned (I guess the opposite is true for the iSi Siphons?). This is quite amazing actually! Luckily however the cream and soda chargers are exactly the same size and both hold 8 g of gas. So it should be possible to make carbonated fruit with any of the iSi whippers (cream, easy, gourmet, dessert, thermo) or siphons available. Fill you iSi whipper (or siphon) with fruit, preferably fruit which has a cut, wet surface to allow the carbon dioxide to dissolve in the water/juice. Unscrew top and serve immediately! 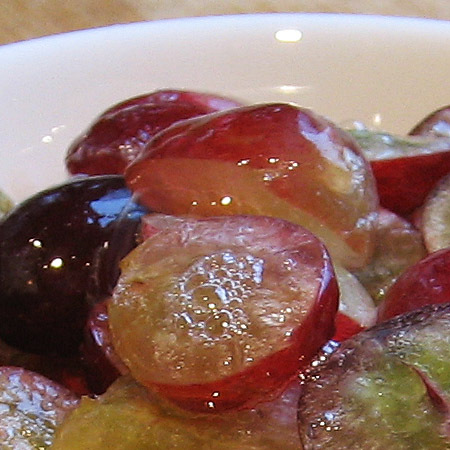 This is what carbonated grapes look like. As you see, I decided to cut the grapes in to halves. A quick recap of the chemistry: cold water dissolves more CO2 than tempered water, that’s why we leave it in the fridge. Also, remember that it takes some time for the carbon dioxide to dissolve in water, therefore it’s better not to be in a hurry. A quick calculation of the pressures gives the following: Both gases have molecular weights of 44 g/mol, so 8 g of gas corresponds to 0.1818 moles or 4.1 L at 25 °C and 1 atm pressure. The volume of the chargers is 0.01 L which gives an initial pressure in the chargers of impressive 445 atm! With an approximate volume of 0.7 L this gives a pressure (in an empty whipper) of nearly 6 atm – the same as in a bottle of champagne. However once you add water, the equilibriums will change and the pressure in the head space will drop. Anyone who remembers how to calculate the head space pressure at equilibrium if the container is filled with 0.5 L of water and cooled to 4 °C? I’ve done some googling and there is also some mention of making carbonated fruit with an iSi whipper over at Ideas in food. Ferran Adria’s espresso foam, named “Espesso”, is indeed a fascinating concoction, created in cooperation with coffee producer Lavazza. 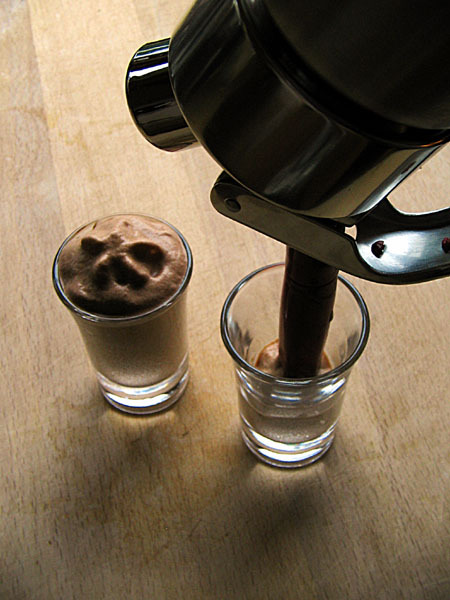 The word espesso is a combination of espresso and the Italian word spesso, meaning thick. Just luck at the thick lucious foam. The invention has been commented on thoroughly in the blogosphere. See for instance Skillet Doux and Movable Feast – both feature some nice close-up pictures of espesso (including the one above). Espesso has been available in Europe since 2002 (anyone know where? ), but was just recently introduced in the US. Appearantly, the foam is served warm in Europe, but has been served cold in Chicago, at Lavazza’s three locations there. 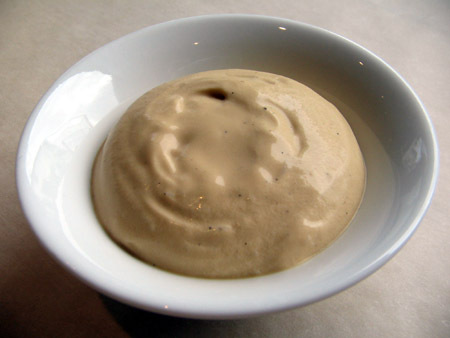 According to the reports, espesso is made from espresso and a “secret” ingredient. The ingredients are mixed and left to settle for 12 hours under pressure. The product is then dispensed from the iSi Gourmet Whip (more info here, the propellant gas is nitrous oxide, N2O). As a chemist I certainly wonder what the “secret” ingredient is? If it is true that espesso has been served both warm and cold, they would need to use a thickening agent which is not very sensitive to temperature. Also, it appears that the foam once served is not stable for more than a couple of minutes. My best guess would be xanthan and guar gum, or possibly a combination of the two. 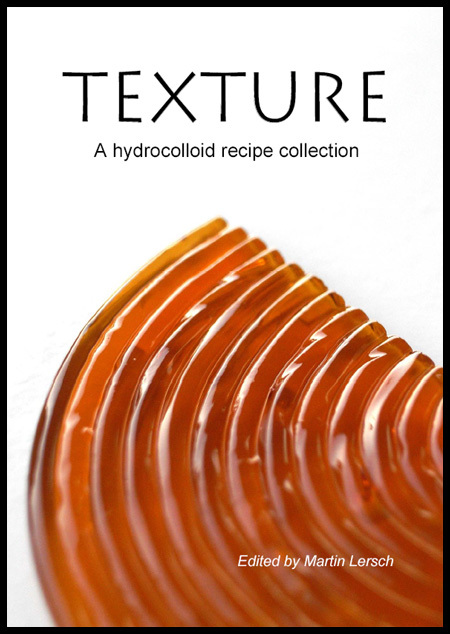 These hydrocolloids show thixotropic properties – when subjected to pressure/agitaion they soften, but then they jellify again afterwards. In other words – they could be easily dispensed through a siphon and would then solidify in the cup. 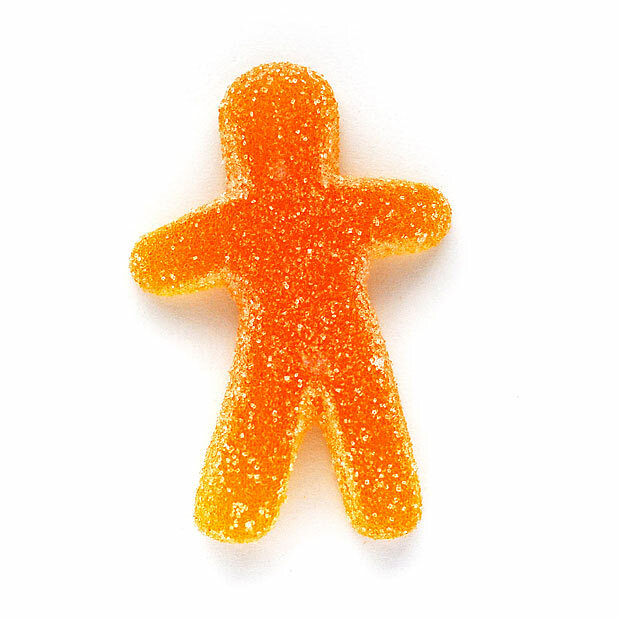 Also, xanthan and guar gum are relatively temperature independent with regard to their thickening properties. 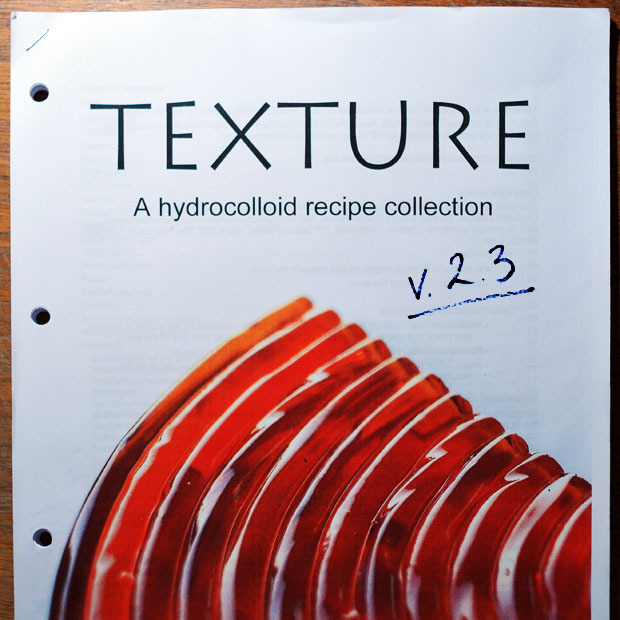 Check out the INICON manuals on texture for great (and FREE!) information on these and several other hydrocolloids. Update: The Lavazza homepage now features a video and a tool to find your nearest Espesso!